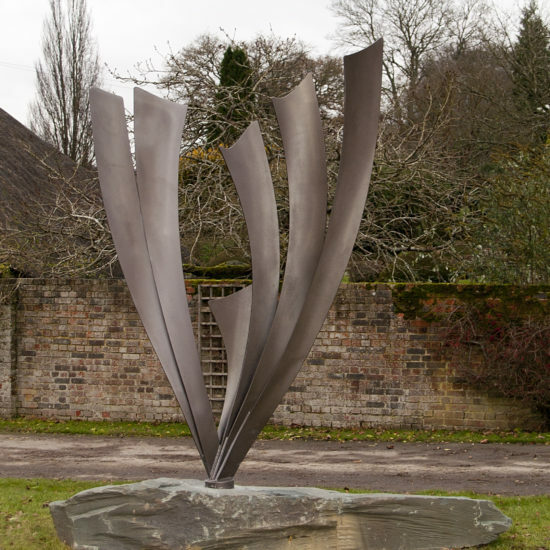 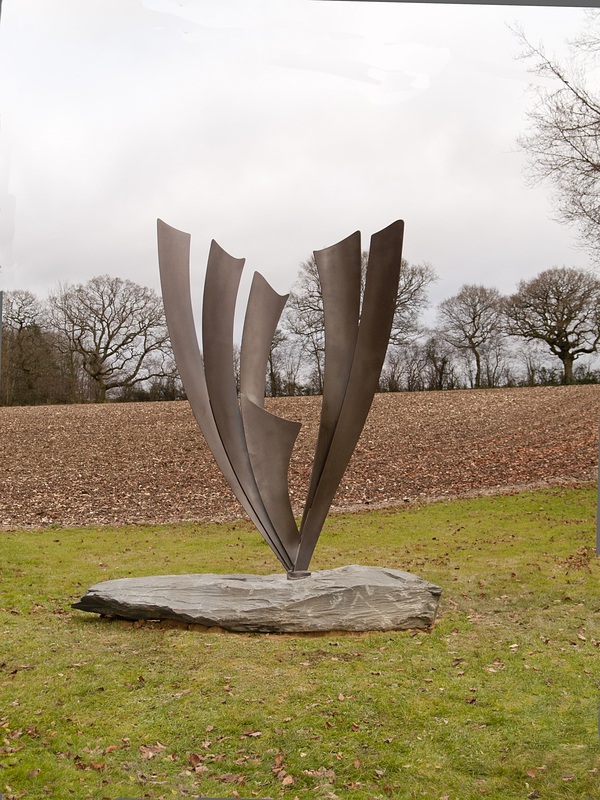 Mild steel and slate organic sculpture commissioned by a gentleman farmer and landowner as a site related artwork to enhance his private grounds. 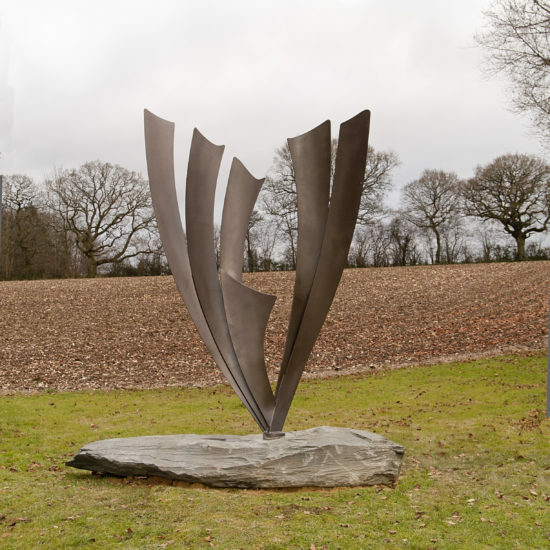 After a preliminary visit Charles was inspired by the verdant surroundings, abundance of natural flora and fauna and healthy farmed crops. 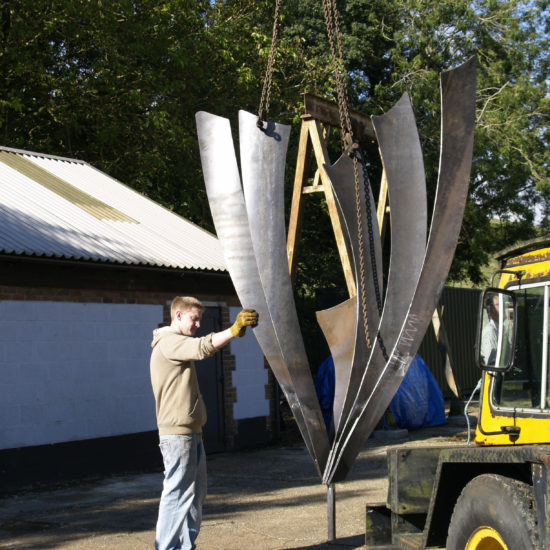 Aspire is his artistic interpretation of this growth. 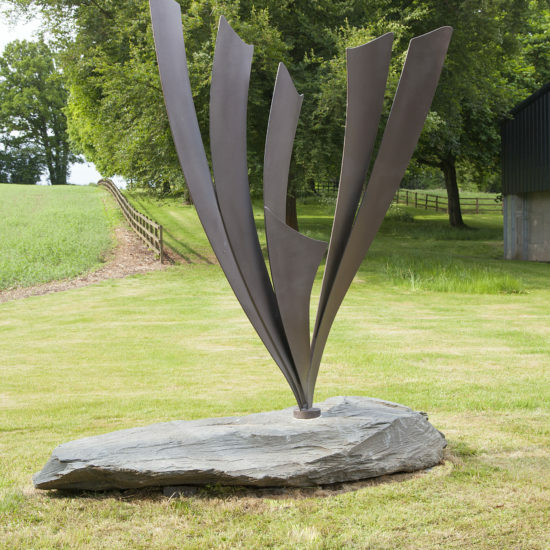 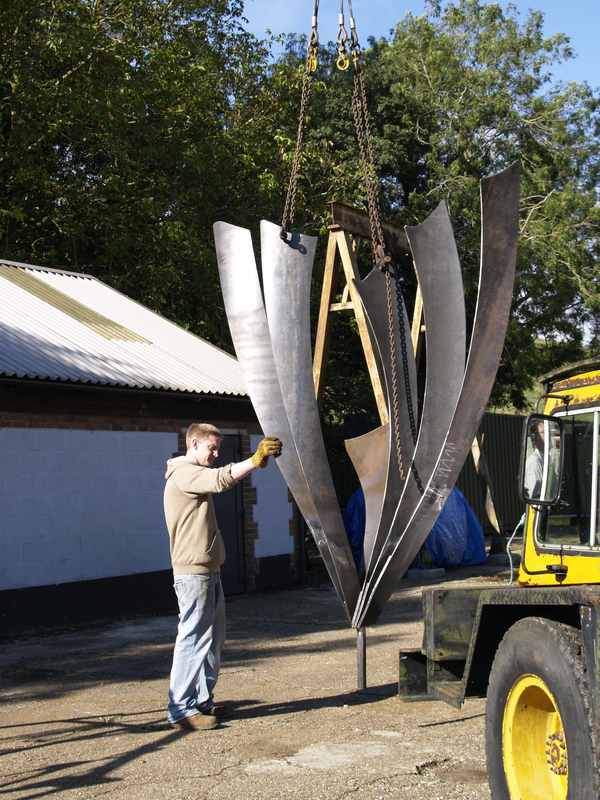 Reaching to a height of 2.5 metres, six gently curving, fanned, plant like blades in forged mild steel grow from a large asymmetric rock of Kirkstone Green Slate. 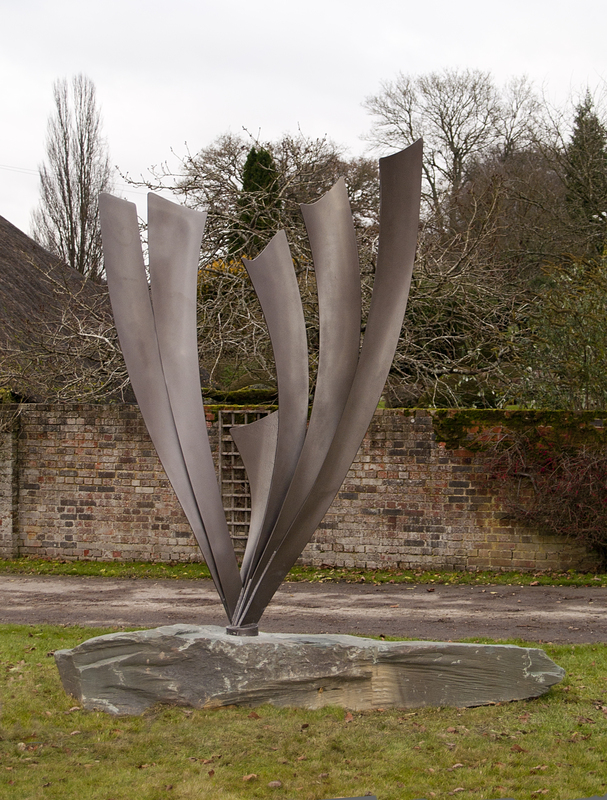 The beaten and textured mild steel is a pleasing aesthetic contrast with the heavy hewn slate. 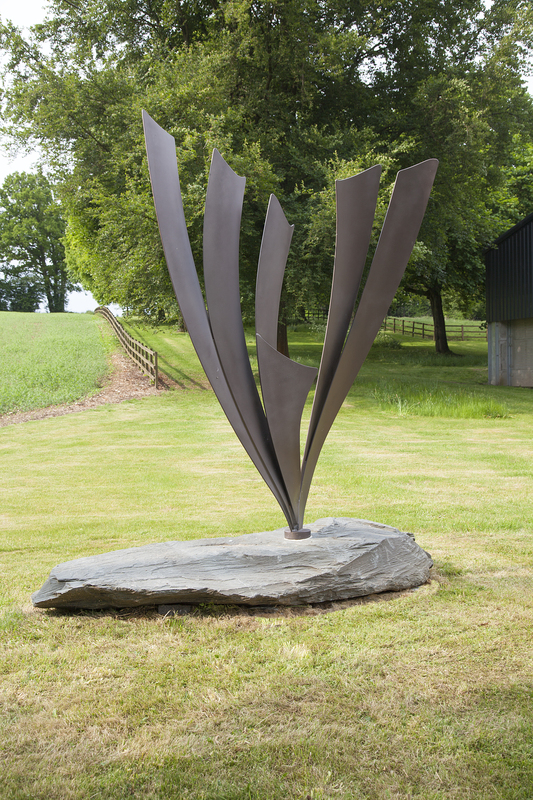 Placed to be viewed against the grounds from every angle, the piece works well with both the natural landscape and the farm.